So much for an undefeated non league season. 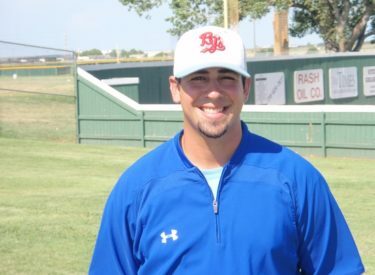 In Liberal’s final non league game of the regular season, the Junction City Generals (15-14) took down the BJ’s 7-2 Friday night in Junction City. Liberal goes 10-1 in non league games. Liberal had five hits while the Generals hit a pair of two run homers. Liberal used Austin Robson, Tyler Rockafellow, Hernan Ramos, and coach Matt Quint. Quint, the former BJ and Garden City native pitched a scoreless inning of relief. The Bee Jays fall to 28-12. They travel to El Dorado to face the Broncos Saturday, Sunday, and Monday nights on Talkradio 1270.